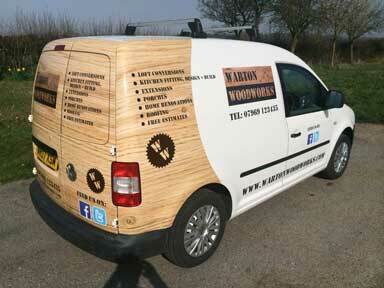 If you need van graphics in Basildon, we recommend Signs Express. They were professional throughout, ensuring our van graphics was of high quality. We was able to see a preview of the van graphics before it was applied. Therefore we could make any changes before it is too late. 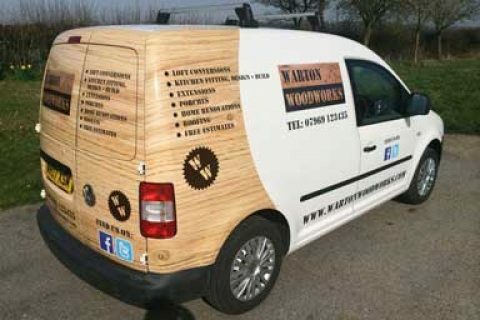 Signs Express Basildon ensured my Warton Woodworks logo stands out well. All writing looked very sharp. The type of wrap I had done was called a half vehicle wrap. You may see our van graphics in Basildon, or anywhere else in Essex. If your business involves travel everyday, you may be interested in a vehicle wrap. Your audience when driving is potentially thousands of people. You will also be exposing your business to different areas. Overall it may be cheaper than other forms of advertisements. 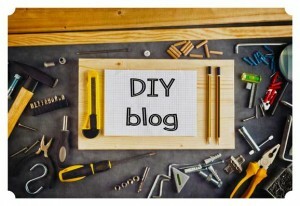 In fact it is probably one of the most cost effective methods to advertise your business. Signs express Basildon can help you with your vehicle wrap design. We believe vehicle wraps help a business come across more professional. Customers like to see a professional looking van when turning up for the first time. You will notice we have social media stickers attached to out van. 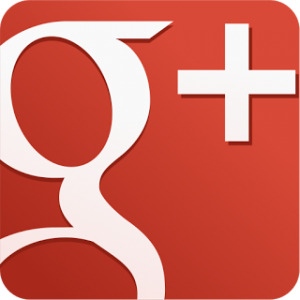 Social media is a great tool to advertise your business. Many people use Facebook and Twitter these days. If people know your on social media they may be inclined to search you. People that walk past your parked van may be interested in your business. People may even approach you while your on a job. Need Van Graphics done in Basildon? This article tells you who wrapped our van in Essex.